Eugene Wu is back with our New Year's Eve (Eve) Cartoon! 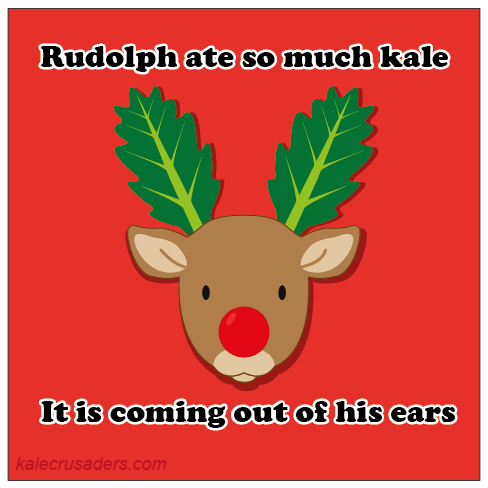 The holidays are always challenging on the health. Flying (or driving, or walking) across the country to see loved ones, an endless parade of dinners and lunches, the lack of yoga and gym classes, and the parties. Oh the parties! With such a blur of activities, how can one _not_ feel like Coco the Coconut after the deluge of alcoholic beverages, heavy eggnog, and the lack of hydration? Well praise science! Let it ring from sea to shining sea that Coco can drink its own medicine. Dehydrated? Grab a pack of coconut saline and dip it in your veins. Feeling hungry? Chew on some rich coconut flesh, because it's not red meat -- it's white. Low energy? Drink from a fresh coconut stream and enjoy its supply of copper, calcium, iron, manganese, magnesium, and zinc. Growing old? Bathe in its wealth of cytokinins and protect yourself from old age and cancer. 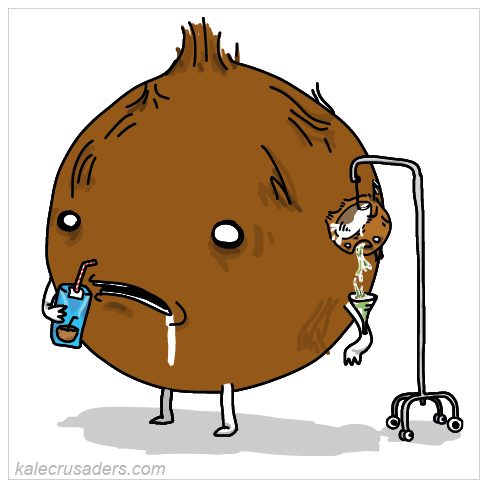 Whatever your holiday plans are, stay strong and eat our friend Coco the Coconut, and don't let him go to waste . 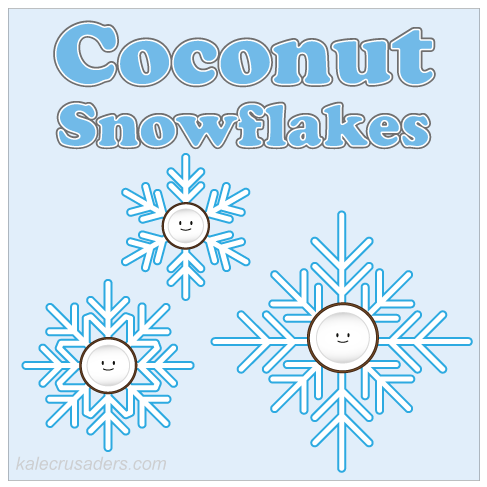 Today's cartoon was inspired by this Coconut Snowflakes recipe by Kate at Real Food RN. The recipe relies on a single ingredient: coconut butter. Coconut butter, in turn, is composed of only one ingredient: coconut flakes. Coincidentally we made Homemade Coconut Butter for the first time this past weekend, following these instructions by the famous Angela at Oh She Glows since coconut butter is a crucial ingredient in her Coconut Macaroon Thumbprint Cookies. Needless to say, the cookies were delicious and we were so proud of ourselves for making our first homemade butter! Have you tried coconut butter before? 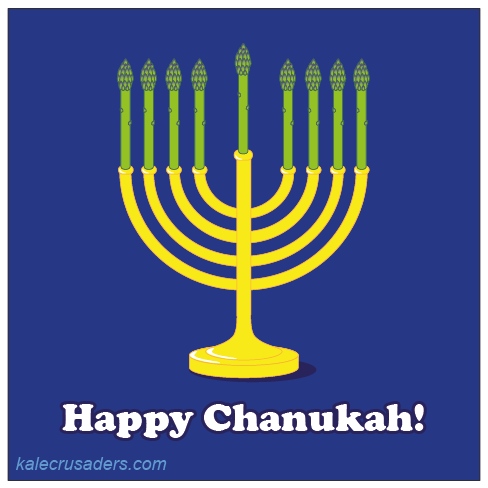 Happy December! Here in the Northeastern United States, we are gearing up for winter and the bitter cold that will be keeping us company for quite some time. Rather than focus on our poor life decisions, we prefer to daydream of warming up with our favorite comfort foods. Here at Kale Crusaders HQ, we love to munch on nutritional yeast*, kale, pasta, and chickpeas. 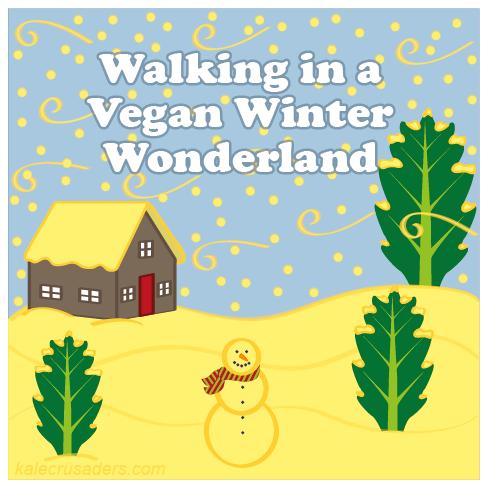 Fortunately Katie at Well Vegan has us covered with her Kale Walnut Pesto Pasta. Toss some chickpeas on top and then you will achieve the ultimate vegan comfort food quadfecta! * After an entire month of nutritional yeast cartoons, we couldn't help ourselves.